For four generations we have been dedicated to assuring the Hess Pumice brand is known not only for consistent quality and on-spec, on-time delivery—helping to make us the largest producer of processed pumice in the world. 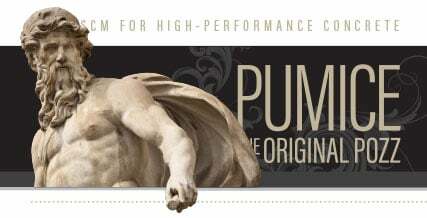 With our pumice pozzolan product, what was old is new again. Recent concrete-performance research using HessPozz proves what the Romans already knew: a fine-grained natural pumice pozzolan gives incredible long-term strength to ordinary concrete. The renaissance of pumice pozzolan is upon us. It makes good business sense to work with suppliers who are as committed to excellence as you are. And when it comes to supplying high-quality pumice, nobody is more committed than Hess. Our carefully refined pozzolan will meet your most demanding specifications. Companies pay us the greatest compliment when they bring us face-to-face with their own scientists, engineers, and architects. We look forward to being grilled about why you should specify pumice pozzolan for your project. We make and keep that promise because we control the entire supply chain. 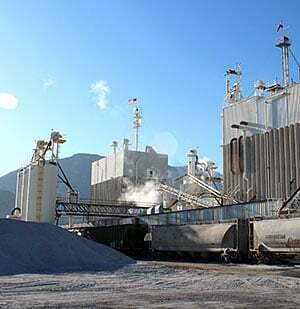 From our headquarters in Idaho we mine, refine, package, and ship pumice pozzolan to our customers worldwide. 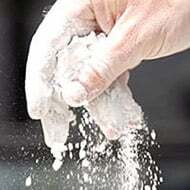 This integration is rare in the pumice industry and even rarer when you consider the volumes at which we produce. Wherever you need pumice pozzolan, we’ll get it there. Hess ships to every corner of the earth in quantities as small as two grams to as large as 100 tons. Mother Nature gifted our corner of the Rocky Mountains with the finest pumice on the planet. We never take this for granted. 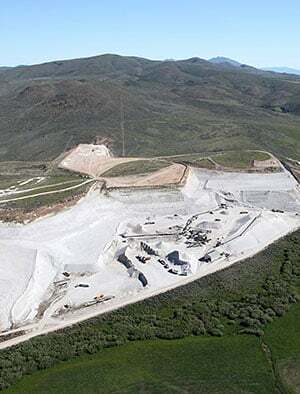 There is a confirmed 200+ year supply at our mine. Our versatility and innovation has helped us take advantage of this awesome supply and enabled us to thrive for more than five decades while other suppliers have come and gone. Hess Pumice processing plants one and two. Hess' Wright Creek pumice mine located in Southeast Idaho, USA.